1.0.1.27 Add more categories. Bug fixes for posting. 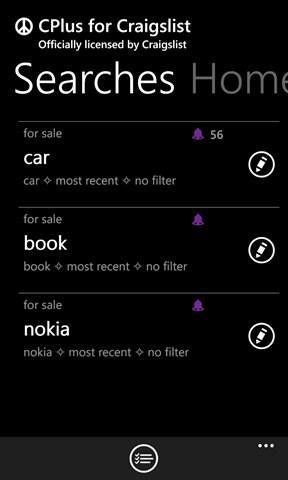 CPlus (previously Craigslist+) is an officially licensed Craigslist app for Windows Phone. Like Craigslist on steroids, CPlus offers tremendous extra features that make browsing and searching on Craigslist very smoothly. Since its release, it has been and will be continuously updated and improved to make it the best Craigslist client for your windows phone. Key features: - Automatically finds nearby cities. - Multiple city search. Search result page size, filter and sort order are configurable. - Search results can be presented with multiple display modes: Preview, list view, photo grid and photo row. - Postings can be saved to your favorite list. You can add notes to your favorite postings. - Posting details is optimized for reading on phones, which is much cleaner than the website. - Searches can be saved. Save your time from repeating the same searches. - Search agent can automatically search new postings and send you notifications. 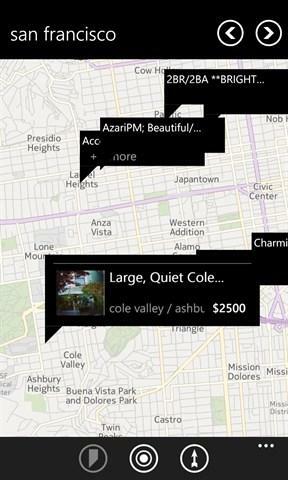 - Category or searches can be pinned to start screen as live tiles. - Account management. You can manage multiple accounts. You can renew, edit or repost your ads. - Native in-app posting feature. Creating a new ads can't be easier. - Track posting seen and read status. The craigslist and associated trademarks are owned by craigslist, Inc. (www.craigslist.org) and are being used under licensed permission from craigslist, Inc. for a limited purpose.